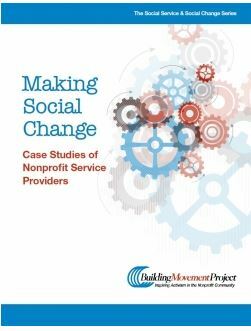 Building Movement Project developed this set of case studies as a response to numerous requests from groups looking for real-life examples of the often-challenging process of incorporating social change models into social service work. 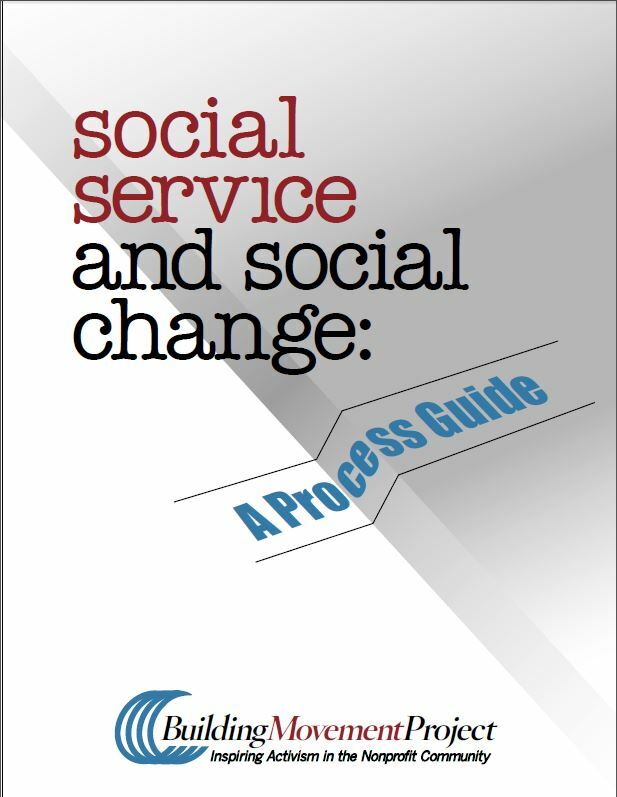 These case studies, geared toward practitioners, board members, and funders interested in this work, are designed to complement one of our other landmark Building Movement publications: Social Service and Social Change: A Process Guide (2006). The five case studies in this publication offer examples of organizations that are integrating social change activities into their work. 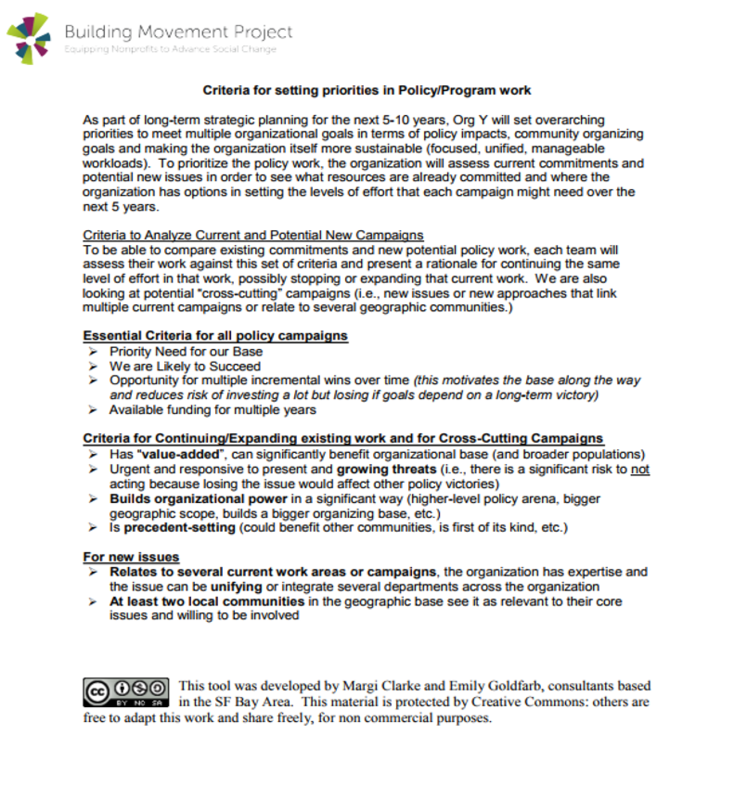 Based on an actual document developed by a service agency, this is an example of a set of criteria that an agency might use to assess which policy campaigns are a match for the agency. 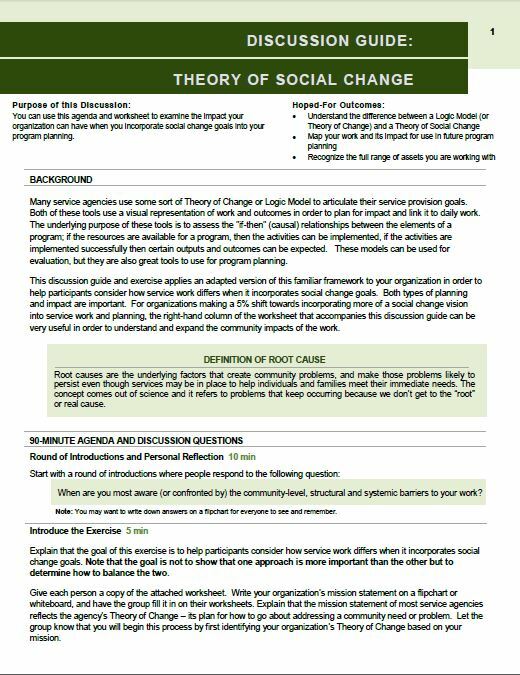 This discussion guide and exercise applies an adapted version of this familiar framework to your organization in order to help participants consider how service work differs when it incorporates social change goals. Both types of planning and impact are important. 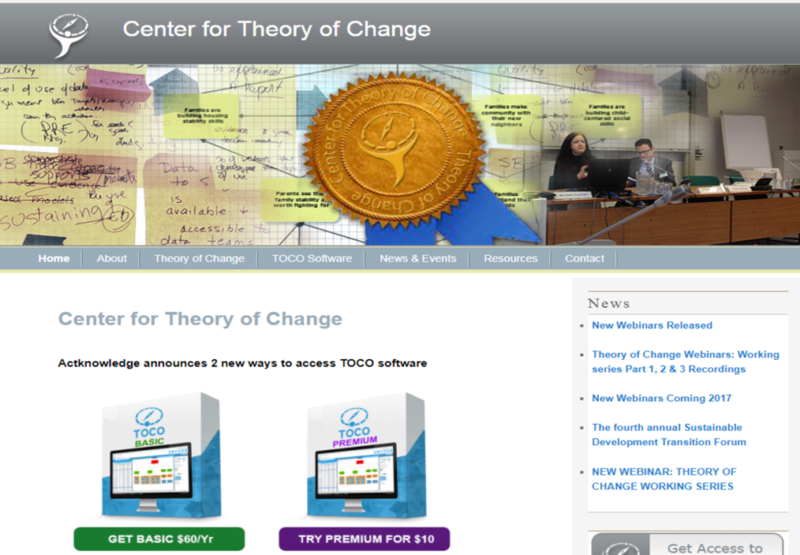 Theory of Change is a method or technique that can assist communities to think about, plan and evaluate their work. 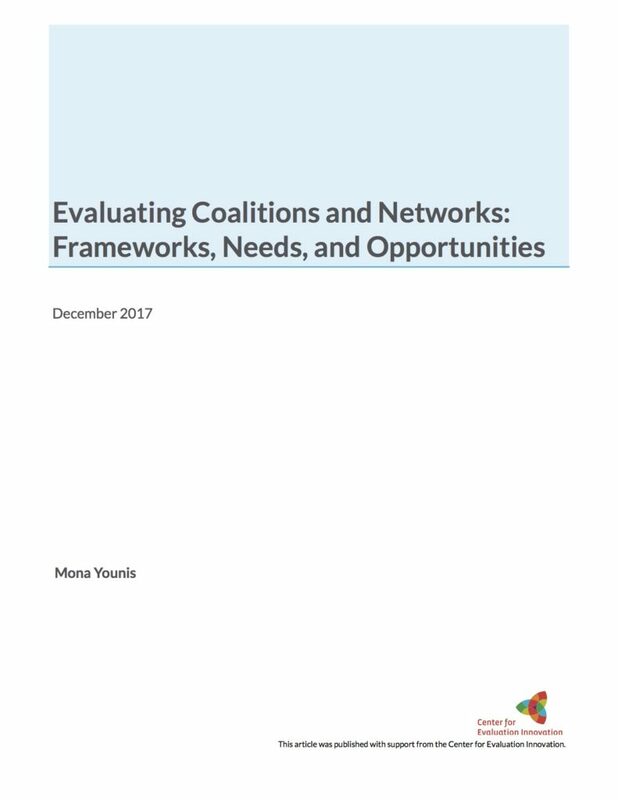 It involves backwards mapping from the goals or desired outcomes of the program to identify what is needed in the program design to accomplish these goals. This website offers in depth resources, guides, and examples for how to develop and apply a TOC. 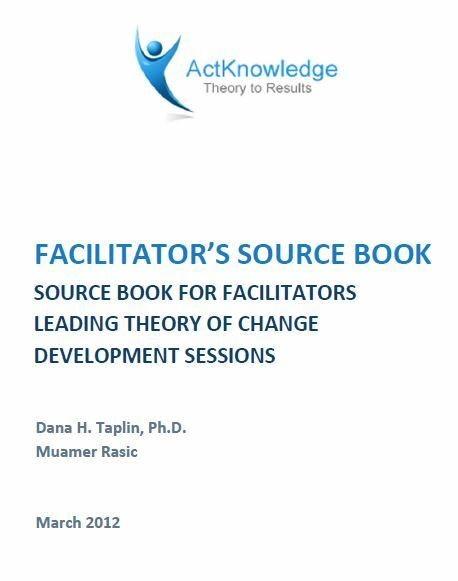 This facilitator source book defines Theory of Change vocabulary, offers suggestions for preparation for group process, and provides a step-by-step explanation of what it takes to design a Theory of Change. In 2006, the Building Movement Project published Social Service to Social Change: A Process Guide for staff and board members of nonprofit organizations to learn to incorporate social change values and practice into their work. While it has many activities, understanding the “Transformation Process” on page nine is foundational to making lasting change. 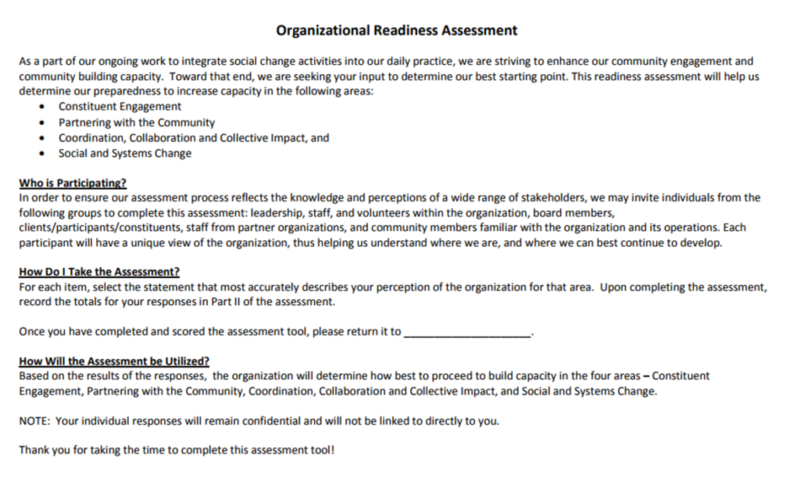 The Organizational Readiness Assessment is designed as a tool to help organizations explore the status of their vision and mission, their relationship to staff, partners and constituents, and their leadership approach as part of an organizational culture conducive to social change efforts. 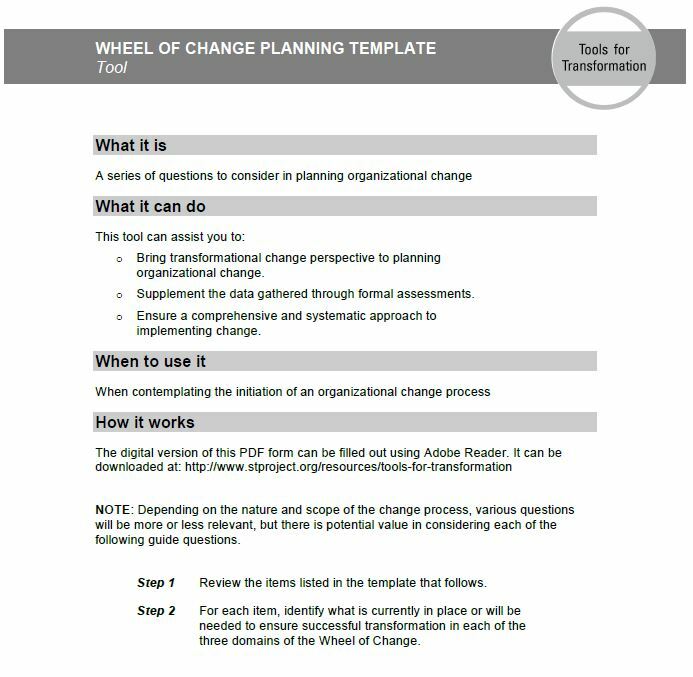 Wheel of Change Planning Template is a planning tool to explore what is currently in place or will be needed to embark on a social change effort. 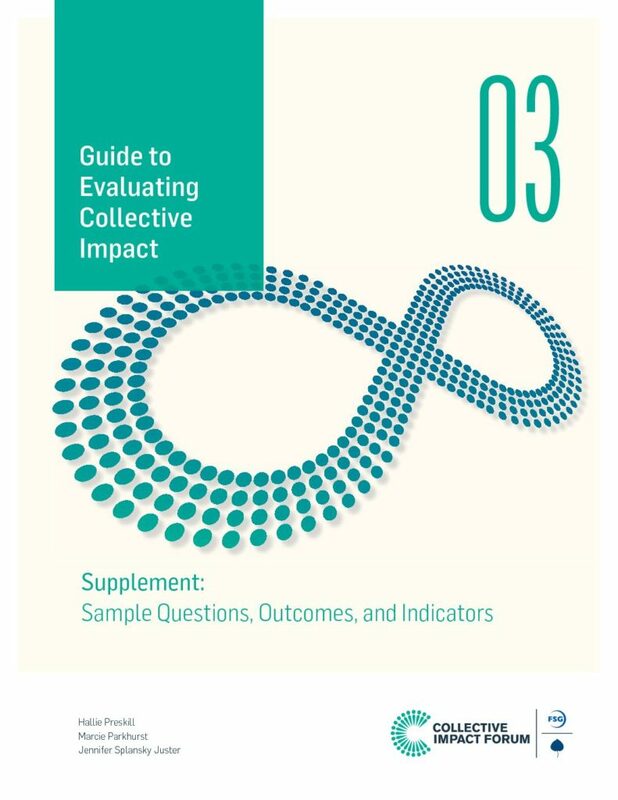 Follow this link to find the Guide to Evaluating Collective Impact report and a supplement with sample questions, outcomes, and indicators. Accessing this resource requires you to join FSG, which is free, and which we recommend.